Beginning in California as Betts Marine in 1970, Betts Boat repair relocated in Alaska in 1987 and represents 3 generations of family involved in the construction and repair of marine related products. 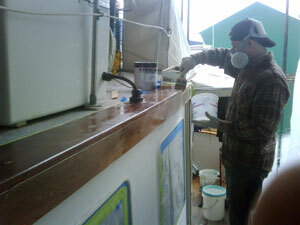 With its present Juneau, Alaska facility Betts Boat Repair specializes in diesel and gasoline power, AC generator sets, drive systems, hull and superstructure, interior refinishing, hull and top side paint, fiberglass and wood renovation, marine sanitation and electrical systems. 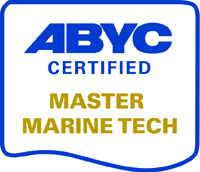 Betts is a certified ABYC business and is home to Alaska's only ABYC certified Master Technician. Betts Boat Repair staff have been trained by Caterpillar, Cummins, Ford Lehman, Mercruiser, Perkins, OMC, Volvo Penta, Universal and Westerbeke. We continue ongoing training to maintain the highest standards in work performance and customer satisfaction. Betts Boat Repair takes pride in our ability to respond promptly to vessel demands and emergency situations though out the Southeast Alaska area. We maintain a list of vessels serviced from 20 to 250 ft. And will provide information on request. Betts Boat Repair has an extensive local clientele and is highly regarded by visiting yacht agencies for our timely, thorough and diverse service.